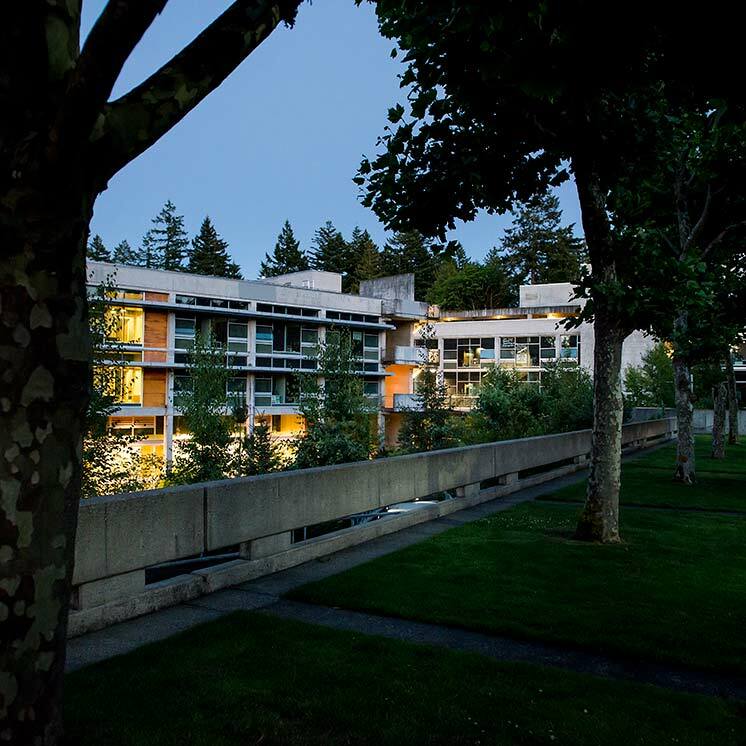 Evergreen faculty members and students are encouraged to plan study abroad, whether it is within coordinated studies programs, group contracts, or individual contracts. The college recognizes the value of learning about other cultures, continuing language acquisition, studying unique natural or environmental phenomena, learning through service to communities, and bridging theory and practice. Organization of such study abroad arrangements varies. For advice, faculty members and students planning such study should consult with the dean having the desk assignment of international studies, the coordinator of international programs and services (in Advising), and the Advisory Board for International Studies. Faculty members planning to travel abroad with students in an academic program have many organizational matters to resolve, so curricular planning needs to take place well before the actual travel. There are three major steps to follow so that the planning unit coordinators and deans approve of a travel abroad component in a program: propose the program through regular curriculum processes; prepare and submit a detailed and complete budget; notify the international studies dean when you have the required 15 deposits from students assuring an adequate number in your program. Each of these requirements is explained below; further steps in the planning process are outlined in the section titled Student Information. Curriculum Planning. In planning the curriculum two years in advance, programs and group contracts are usually proposed in Planning Unit meetings, and taken to the Planning Unit Coordinators and deans for discussion. If a program is planned at a later stage, it needs to be reviewed by Planning Unit Coordinators and the deans at least by spring prior to the year in which travel will occur. In either case, costs must be detailed in a budget request for program expenses and submitted to the budget dean the spring prior to the academic year in which the program travels abroad. (If the travel takes place during summer quarter, the budget must be submitted with the application for summer school instruction.) Instructional costs abroad as well as any extra costs to students must be identified and approved by the budget dean, curriculum dean, and international studies dean. As valuable and legitimate components of the curriculum, the college will financially support study abroad as far as possible. Because one of the criteria for taking students abroad has to do with workload equity for the faculty, at least 15 students must declare their intentions of traveling by submitting a nonrefundable deposit of $150 at least six weeks before departure. Studying and traveling abroad opens many possibilities to students; however, they may not realize all of the implications that accompany such work. For that reason, it is very important to fully inform them of the costs, benefits, and responsibilities of this travel. In addition, the faculty member teaching abroad needs to specifically address his or her responsibilities to the students. With this information, students can make an informed decision about joining the program for this component. One result of good planning and information exchange is that students will fully realize why the study abroad component may not occur unless certain obligations are met, and make alternate plans in a careful way. The international studies dean and the coordinator of international programs and services in Advising will work with faculty planning to study abroad, and help them plan effectively and meet all of the following requirements. For their part, faculty sponsors must complete the following steps during the academic year in which they will travel. If faculty sponsors choose not to adhere to any of these steps, the deans have the right to cancel the program. Because students, their families, and the college have a legitimate need to understand the relative safety of the destination for an academic program, the faculty sponsor must check the U.S. State Department's guidelines and discuss that safety with the international studies dean and potential students in the program. Any agreements with other institutions or entities who will contract with the program to give services for which the college or students will pay, must be written and agreed upon by the dean of international studies, reviewed by the budget dean, and signed (in most cases) by the provost and vice president for finance and administration. At the earliest possible date, but at least four months prior to departure, faculty sponsoring study abroad must notify the financial aid office of the financial expenses necessary for students to enroll in the program. This notification is essential for financial aid officers to give appropriate advice to students needing aid. Expenses should be detailed in the following categories: tuition/fees; room and board; books and materials; air fare and local travel; approximate personal costs (including gifts, entrance fees, postage, and other costs associated with travel). Provide students with a preliminary syllabus detailing the academic activities and ask them to sign a covenant prior to the due date for the deposit so that students can evaluate the costs and benefits of the program. The covenant must include adherence to the Student Conduct Code and provide a list of expenses for any funds collected from students used in the program. Each student will also be required to sign a Voluntary Waiver, Release and Indemnity agreement. (See Voluntary Waiver following this policy.) The signed waivers should be sent to the academic deans' area where they are kept on file. Fix a date at least six weeks before departure for a nonrefundable deposit of $150 for all students planning to travel. At least 15 students must make these deposits if a faculty member accompanies the group so it is advisable to collect deposits from a larger number to allow for possible attrition. Once the 15 deposits have been made, the international studies dean will give final approval for the program's plans for study abroad. Students must make these deposits payable to the college and they must be placed in a special account through the office of Academic Budget and Financial Planning. The names of students traveling abroad must be sent to the Grievance Officer for review to identify possible problems. The decision to allow students to participate remains with the faculty. Any other funds collected by the faculty prior to departure must also be made payable to the college and placed in a special account through the office of Academic Budget and Financial Planning. If cash is needed during the travel abroad, this will be disbursed to the faculty member before departure and accounted for on their return using standard college procedures. Plan the study abroad component thoroughly with the help of the international studies coordinator (in Advising) if necessary and program students. This includes providing the international studies dean with an itinerary and contact information prior to departure. The office of Academic Budget and Financial Planning must have faculty departure and arrival dates for insurance purposes prior to departure. As with program proposals of all kinds, the deans may intervene as they find appropriate to resolve significant emerging problems (e.g. cost, support arrangements, etc.). If significant problems arise in the program while abroad, faculty sponsors are expected to contact the international studies dean for advice and support. Plan to leave no earlier than the end of the first week of class. This departure date will allow students to deposit their financial aid checks before they leave. Returning to campus before the end of the quarter will allow you and the students to write evaluations in a timely manner. Remember that, as in the case of programs remaining on campus, faculty must complete evaluations of students by two weeks after evaluation week of the quarter the program ends and inform students that they may lose their financial aid if those students receive an incomplete. Ask each student to arrange for insurance while abroad. State law prohibits the college from requiring insurance of its students, but it is a good idea to suggest it, and helpful in case you are called upon to make decisions regarding health care for a student. If you (or a student aide) arrange airfare, you can sometimes receive a free ticket by traveling together. You can use this ticket and save the college some expense, or, you can spread the savings of one ticket to all traveling. In collecting payment for airfare, ask students to write checks directly to the airline. Make students aware that this payment is usually nonrefundable. You can receive funds in advance of your travel if you have submitted a detailed program budget to the budget dean the spring prior to the year in which you travel. The following expenses can be covered by your program budget if the college academic budget for that year permits it: instructional costs for students in the host country (usually language instruction), room rental for classroom instruction, supplies for teaching and learning, telephone costs within country, your travel, your lodging, your meals (if costs are listed in a journal). All of these expenses must be verified with receipts and submitted to the Office of Academic Budget and Financial Planning immediately after the quarter in which you have traveled.